During the Dota 2 International, Valve announced their latest game in the form of Artifact. What we heard from the crowd’s reaction was a mix of disappointment and excited. Disappointed at the fact that it was not Half-Life 3 (Why would they announce it at a Dota 2 event?) and excitement at what this new card game could do for Dota 2. One of the biggest things to be excited about with regards to Artifact is the many questions related to Dota 2’s lore. Throughout the announcements of new Dota 2 heroes, we’ve always been treated to cinematics and short inserts of lore regarding the heroes. There hasn’t even been any real hard story behind the characters who make up our rosters, and this was quite a let down when the game was originally brought across from Warcraft III. Dota 2 was an adaptation of the popular Warcraft III: Frozen Throne custom map, and the heroes back then were familiar names in the Warcraft universe. We all knew their stories, and we also know that Blizzard has a ripe history established between all oftheir characters. This was brought forward in Hearthstone, Blizzard’s popular online trading card game, and something many fans are anticipating that Valve will bring to life in Artifact. A number of characters were made up by Icefrog, but they do have a passing resemblance to their Warcraft counterparts. Steve Jaros, a developer on Artifact, confirmed this in a Tweet response to SirActionSlacks. Dota 2 has been out for six years, and you can imagine the red tape when porting a game from a franchise like Blizzard to Valve and not taking with some form of lore. Heroes names have been changed and this has offered up an opportunity to create new stories tied to our favourite characters, but it will be a tough task in bringing them to life and remaining far apart from their previous stories told in Warcraft. Each hero in Dota 2 does come with a short biography touching on some basic lore, but we need more. We need stories of alliances, relationships and backgrounds. What we can look forward to is a new story evolving from Artifact with bloodlines, races, worlds, factions, etc. 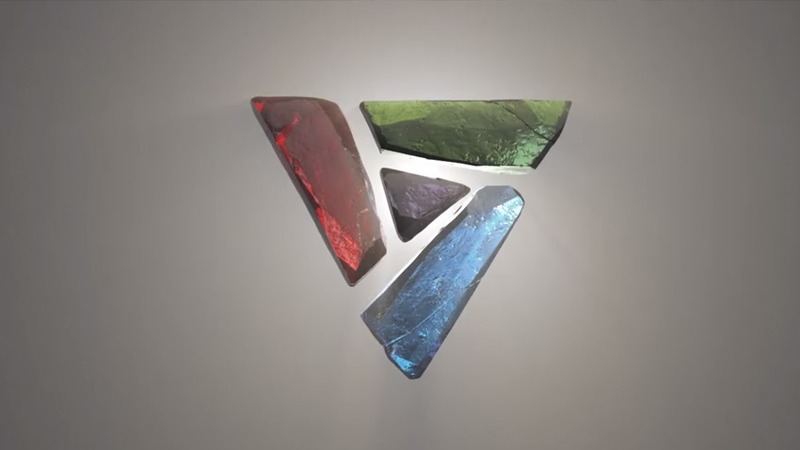 In the teaser for Article, four colours are shown – Green, Red, Blue and black. This could be factions, or just a clever logo. Fire, water, earth and darkness? Maybe? We have seen a short comic for Legion Commander which did tease some some lore, but more teased the release of Pit Lord. There are still a number of questions surrounding Artifact, but Valve do have the largest game distribution platform and community in the world, and the integration of Artifact and the marketplace could make it a true rival in the face of other trading card games. My biggest question is whether it has a presence as an esport, but that remains to be seen as more information regarding artifact will be released in the near future.